Bloubergstrand Guest House - 4 star Guesthouse Accommodation in Blouberg at Mandalay Beach, luxury Guest House in Bloubergstrand Cape Town. Ideal for holiday makers or business travelers, Mandalay Beach Guest House offers you luxurious, modern and affordable accommodation just minutes away from pristine beaches, trendy restaurants and vibrant nightlife. 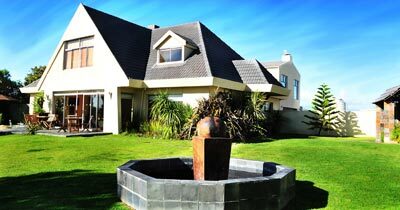 We are only a short drive from Cape Town International Airport, plenty of tourist destinations and business areas. 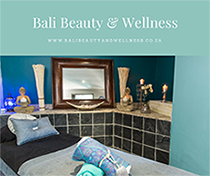 The Bloubergstrand guest house boasts 6 individually decorated en-suite Rooms, fully equipped to meet your needs. All our rooms are equipped with quality features such as crisp white percale linen, thick towels, bathroom amenities, DSTV, AC or Fan/Heater, safe, fully stocked mini-bars, Radio/Alarm clock, complimentary tea/coffee making facilities and WiFi Internet. Soak up the sun next to the pool, surrounded by a lush tropical garden or relax in the Lounge with its cozy leather sofas. Our delicious full-cooked and continental breakfasts are served in our chic dining room or outside on the main terrace, of our Blouberg guesthouse, weather permitting. The Guest House is walking distance to Blouberg beach and Bloubergstrand restaurants, where you can sit and enjoy a coffee with the stunning backdrop of Table Mountain and Cape Town. Mandalay Beach Guest House is also near to a Mediterranean feel new development of Big Bay. This complex hosts several trendy restaurants overlooking Bloubergstrand beach and is interspersed with 4 star boutiques and accommodation. Mandalay Beach accommodation lends itself beautifully for both position and quality, being both close to all the tourist attractions like the V & A waterfront, Stellenbosch, Table Mountain, Blouberg Beach and close to business hubs like Koeberg Power Station, Blouberg Netcare Hospital, Killarney Race Track and Bayside Shopping Mall. Why would you want to stay anywhere else!!!! "What a great place!! Wonderful surroundings, excellent facilities !! Home from home. You really made us feel welcome"
Bloubergstrand Guest House - 4* Guesthouse Accommodation in Blouberg at Mandalay Beach, luxury Guest House in Bloubergstrand Cape Town.